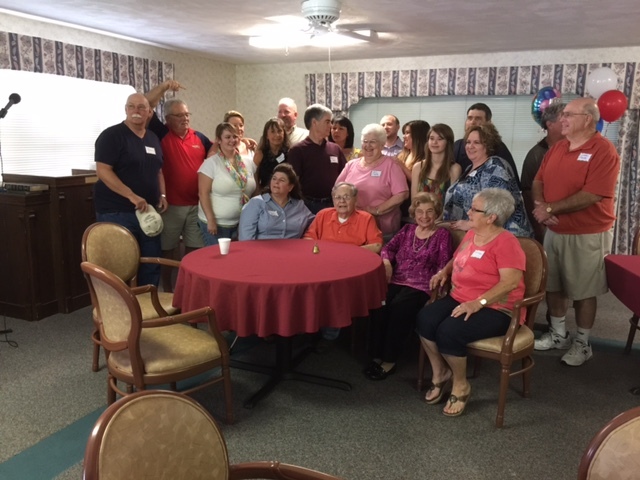 June 20 -- A large group of family and friends turned out for a special birthday party for long-time Farmington businessman Bill Hall, who had just turned 90 years of age. Bill is well remembered for his Phillips 66 filling station and auto repair business located for many years on East Columbia Street. The gathering was held today at the Presbyterian Manor. Bill's large birthday cake was decorated in U.S. Marine Corps colors in honor of his service in the military. At the start of World War II, Hall was one of the first young men from Farmington to enlist in the Marine Corps and serve overseas. Happy Birthday, Bill!